In this 2nd grade worksheet, you can find 10 problems on math which are in the level of 2nd grade.This will be very useful to kids who are in school grade. 1.Which of the following numbers are odd? 2.Which number comes just before 31? 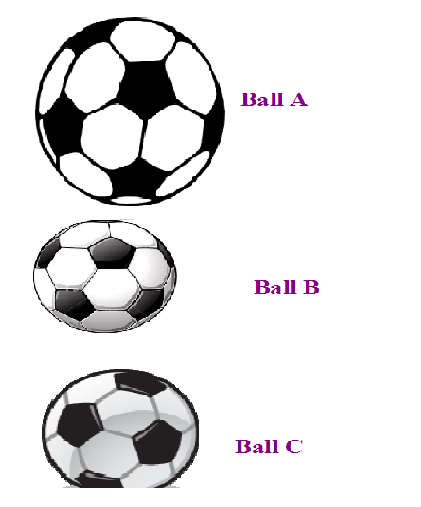 3.Which of the following ball is lighter? 4.The temperature can be measured by which of the following objects? 5.33 of Kevin's 97 tissue paper flowers got ruined in the rain. How many tissue paper flowers does he have now? 6.18 comes just between _____ and _______ ? 7.Ascending order for the below sequence is? 8.What number does LXIV Roman numeral represent? 9.Mr. and Mrs.Josh bought 18 fancy pens, but 7 dried out.How many fancy pens do they have now? 10.What is 300 + 70 + 6? These are the questions on math prepared in 2nd grade worksheet based on the curriculum of 2nd grade.This will be very effective and useful to kids who are in school grade.